EdTechnocation: The Best Apps That Teachers Love! 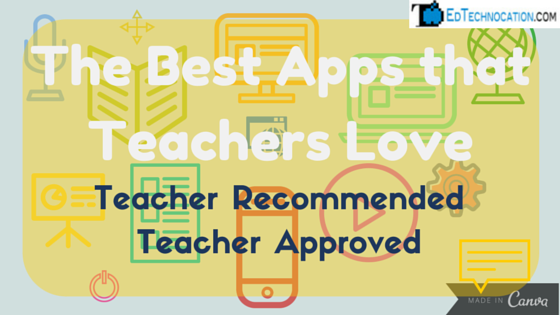 The Best Apps That Teachers Love! I've been presenting a lot lately on Google Apps for the iPad, and at every workshop and session, I've asked the participants to share their favorite classroom app. Here's what I've gathered so far. Jorge shared that he's excited to use Youtube Creator Studio to create a mathematics channel for his students. Roselyn said she's excited to use Google Translate with her ESL students. Tina suggested Lego Movie Maker because her students can create awesome stop motion animations. Would you mind adding to the list by recommending your favorite classroom app? Click here to fill out the form. Thank you for your participation!